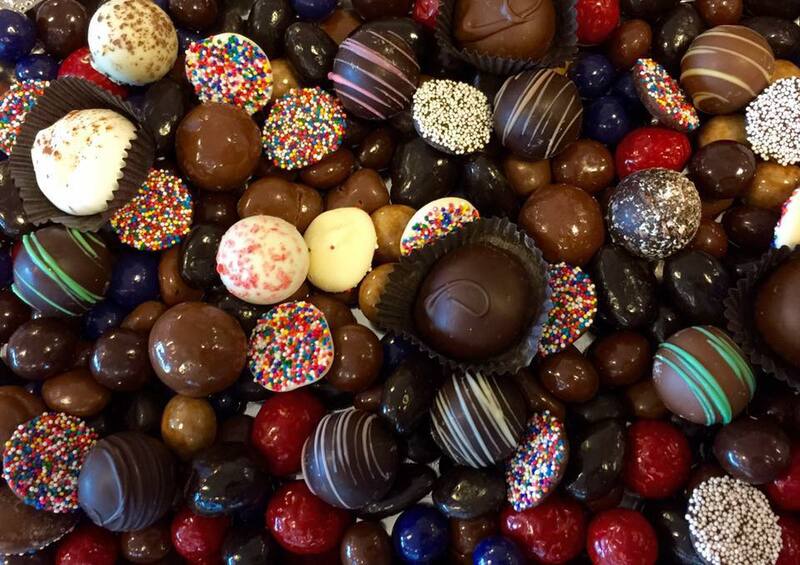 Located in Creekside Station in Winchester, VA, Shenandoah Fine Chocolates is the perfect spot to satisfy your sweet tooth. Featuring signature coffee drinks, hot chocolates, our famous Chocolate cake and of course our vast array of specialty chocolate and unique candy treats, you will fall in love as you walk in the door. We also have beautiful gift boxes and a unique selection of gifts and specialty items you won’t find elsewhere. Shenandoah Fine Chocolates specializes in party & wedding favors, chocolate platters, special occasion gifts or the everyday “I NEED CHOCOLATE” fix. Check out our menu to view our full line of treats and come see us to see what new creations we have. This place has outdoor seating and an aromatic, cool and classy ambiance inside. I had the Turkey, Apple and Brie sandwich with corn salsa and a pickle on the side. A great compliment to this wonderful meal is the homemade tomato soup! Go here and try something and you won’t be disappointed! A beautifully renovated cafe that is my new favorite spot for a bite to eat in Winchester, as well as for coffee and treats! I’ve been many times now and have loved the variety of sandwiches and soups offered- my favorites have been the Pastrami and Turkey/Brie sandwiches, as well as the Red Pepper Gouda soup (definitely worth a try and I wish they had it all the time!). My husband loves the Ham, Apple, and Cheddar sandwich- it has a plum chutney on it that is made locally. Even my daughter loves their store made peanut butter and the staff, who are so welcoming and friendly each time we go. The coffee is great as well- salted caramel is my go-to. I even ordered the Shenandoah Chocolate Cake for my birthday- it was heavenly! I like the outdoor patio seating- a great addition to the area (and you can pop right next-door for chocolate as well, so pretty awesome all around).